USES: Montelukast is used regularly to prevent the wheezing and shortness of breath caused by asthma and decrease the number of asthma attacks. Montelukast is also used before exercise to prevent breathing problems during exercise (bronchospasm). This medication can help decrease the number of times you need to use your rescue inhaler. This medication is also used to relieve symptoms of hay fever and allergic rhinitis (such as sneezing, stuffy/runny/itchy nose). This medication does not work right away and should not be used to treat sudden asthma attacks or other breathing problems. This drug works by blocking certain natural substances (leukotrienes) that may cause or worsen asthma and allergies. It helps make breathing easier by reducing swelling (inflammation) in the airways. HOW TO USE: Read the Patient Information Leaflet if available from your pharmacist before you start taking montelukast and each time you get a refill. If you have any questions, ask your doctor or pharmacist. Take this medication by mouth with or without food as directed by your doctor. The dosage is based on your medical condition and response to treatment. When montelukast is started - or when the dosage is increased - watch closely for side effects. There is a greater chance of mental/mood changes during these times (see also Side Effects section). If you are using the chewable tablets, chew them thoroughly before swallowing. If your child cannot safely chew and swallow them, consult the doctor or pharmacist for advice. Take this medication at the same time each day. If you are taking this medication for asthma or for both asthma and allergies, take your dose in the evening. If you are taking montelukast to prevent only allergies, take your dose either in the morning or the evening. If you are taking this medication to prevent breathing problems during exercise, take your dose at least 2 hours before exercise. Do not take more than one dose in 24 hours. Do not take a dose before exercise if you are already taking this medication daily for asthma or allergies. Doing so may increase the risk of side effects. Do not increase or decrease your dose or stop using this medication without consulting your doctor. Continue to use this medication regularly to keep your asthma under control, even during sudden asthma attacks or periods when you have no asthma symptoms. Continue to also take other medications for asthma as directed by your doctor. This medication works over time and is not meant to relieve sudden attacks of asthma. Therefore, if an asthma attack or other breathing problem occurs, use your quick-relief inhaler as prescribed. You should always have a quick-relief inhaler with you. Consult your doctor or pharmacist for more details. Get medical help right away if your asthma symptoms worsen and your quick-relief inhaler is not helping. Tell your doctor promptly if asthma symptoms, breathing problems, allergy symptoms, number of times you use your rescue inhaler persist or worsen. What if I miss a dose of Singulair? MISSED DOSE: If you miss a dose, skip the missed dose. Take your next dose at the regular time. Do not double the dose to catch up. Do not take more than 1 dose in 24 hours. SIDE EFFECTS: Remember that your doctor has prescribed this medication because he or she has judged that the benefit to you is greater than the risk of side effects. Many people using this medication do not have serious side effects. Tell your doctor right away if any of these rare but serious side effects occur: mental/mood changes (such as agitation, aggression, anxiety, trouble sleeping, abnormal dreams, sleep-walking, memory/attention problems, depression, hallucinations, thoughts of harming yourself/suicide), numbness/tingling/shooting pain in the arms or legs, sinus pain/swelling, muscle weakness, uncontrolled muscle movements. A very serious allergic reaction to this drug is rare. However, get medical help right away if you notice any symptoms of a serious allergic reaction, including: rash, itching/swelling (especially of the face/tongue/throat), severe dizziness, trouble breathing. This is not a complete list of possible side effects. If you notice other effects not listed above, contact your doctor or pharmacist. In the US - Call your doctor for medical advice about side effects. You may report side effects to FDA at 1-800-FDA-1088 or at www.fda.gov/medwatch. In Canada - Call your doctor for medical advice about side effects. You may report side effects to Health Canada at 1-866-234-2345. PRECAUTIONS: Before taking montelukast, tell your doctor or pharmacist if you are allergic to it; or if you have any other allergies. This product may contain inactive ingredients, which can cause allergic reactions or other problems. Talk to your pharmacist for more details. Before using this drug, tell your doctor or pharmacist your medical history, especially of: liver disease. Before having surgery, tell your doctor or dentist about all the products you use (including prescription drugs, nonprescription drugs, and herbal products). The chewable tablets may contain aspartame. If you have phenylketonuria (PKU) or any other condition that requires you to limit/avoid aspartame (or phenylalanine) in your diet, ask your doctor or pharmacist about using this medication safely. During pregnancy, this medication should be used only when clearly needed. Discuss the risks and benefits with your doctor. This medication passes into breast milk. Consult your doctor before breast-feeding. If you need to take prescription medication such as Singulair over an extended period, buying a larger quantity could save you time and money. Many drugs, including Singulair work out cheaper per pill or dose when purchased in volume. Speak to your doctor about increasing the your prescription and you could pay less for drugs and need fewer trips to the pharmacist. Drug prices are not regulated, so the price Singulair of medication may vary significantly between your local pharmacies. Online pharmacy comparison shopping is the simplest way to quickly discover which retailer has the lowest prices for your prescriptions. 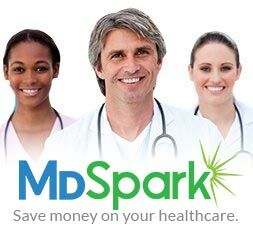 Enter the name of your prescription, for example Singulair, into the search box, add the zip code and click to browse prices and coupon offers. When you have found the cheapest price, print or save the coupon and and take it in to your chosen pharmacy. Comparing prices can save you up to 75 percent on your prescriptions. Patient assistance programs offered by drug manufacturers can help you save money on your prescriptions. Many drug manufacturers have such a program, offering discounts to eligible patients who are prescribed Singulair. Patients prescribed expensive or branded medication may qualify for discounts through such programs. Singulair and other branded drugs often have a generic equivalent on the market at a significantly lower price. Generics account for around 8 out of 10 prescriptions filled in the US and are identical their brand name counterparts in quality, safety, strength, dosage form, route of administration, performance characteristics and intended use. Talk to your pharmacist or doctor about safe generic alternatives to your branded prescription. Seniors with Medicare Part D may be entitled to discounts on Singulair and other prescriptions through their policy. The list of drugs covered varies from plan to plan, so check your provider’s website for more information.